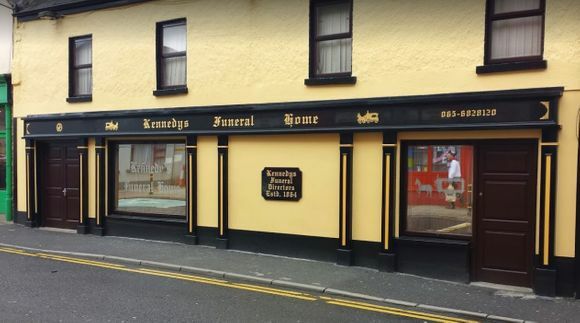 Kennedy’s Funeral Home provides professional funerals to families all around the Ennis area. We’ve been a main stay of the local community for over 150 years. Our longevity is based on our commitment to providing families with respectful, professionally organised funerals. We understand that the death of a loved one is an extremely difficult time for the dearly bereaved and as such we take care of all aspects of the funeral, thus allowing family members to concentrate of their grief. We ensure families a respectful, dignified funeral service that is conducted at all times with the upmost care and sensitivity. 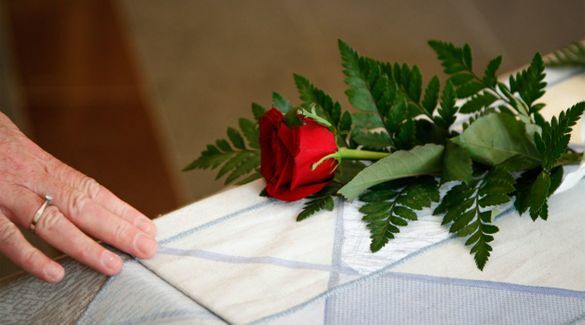 We plan every aspect of a funeral allowing a family to concentrate on saying farewell to their departed loved one. With over 150 years providing our services to the local community, Kennedy’s Funeral Home has developed a reputation for our sensitivity, professionalism and family-focused approach. Our funeral home contains the main repose room for public viewings along with a secondary private room for those families who request it. Our funeral home also contains a showroom where families can view our selection of coffins. All our coffins are made from high-quality raw materials and are available in a range of different finishes.